This verse has always brought to my mind a vision of grapes. I love grapes, I love to look at grapes. 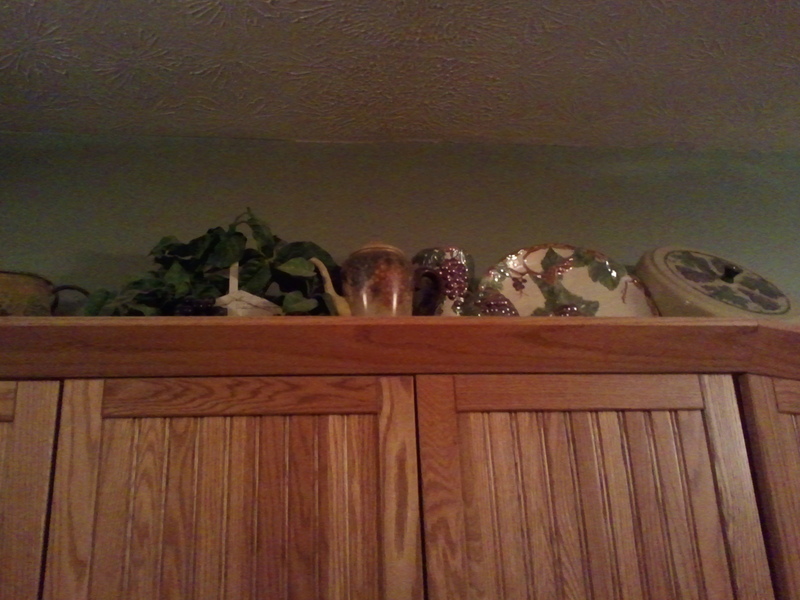 So much so that I’ve been decorating my kitchen with them for nearly 20 years. I’ve been called the original grape-nut, and with good reason. Grape-nuts are such a simple cereal. Hard enough to break a crown and only 4 ingredients, all of which I can pronounce. I like that, at least the last part. Each grape-nut is so tiny. By itself it doesn’t seem like much. It amazes me that something so tiny can bring a grown person to their knees in extreme pain. Last week I spent three hours in the ER with a brand new experience – kidney stones. From the pain I was experiencing, I was sure that this kidney stone had to be a full size boulder at least. It took several days for this boulder to “pass”. When it did, the rock that had been rolling my life was no bigger than a tiny little grape-nut! What?! This itty, bitty, little grape-nut nugget is the boulder that has been controlling my life for weeks? How could that possibly be? Are we so fragile that we can be brought down by something barely larger than a grain of sand… smaller than the smallest piece of gravel? At least it took a river rock to bring Goliath down. Not me. Good grief! One little grape-nut and I’m on my knees. But then, being on my knees isn’t such a bad thing. I should spend more time there, in prayer, keeping my roots well grounded in my Vine. Next > I’m Adopted…. Are You? I am so sorry that you recently had to suffer through a kidney stone. I have not had one but several friends have and they say it was horrible. It is humbling how the smallest of things can sometimes bring us to our knees and yet I think it is often the smallest of things that can also bring us the greatest joy in life, like a kiss from a toddler or a dandelion gift from a small son. You are so right Jackie! Just the week before when Noah and I were back in Nebraska visiting family, my heart would sing with each new expression that crossed the face of my newborn niece. It was almost as if she was watching clips of what her future life would be and her precious face would break into a beautiful smile or a delicate frown, and everything in between. I could (and did 😉 and hold her for hours, just watching her face. Perhaps I should have titled this piece… Don’t Sweat The Big Stuff ? ?